I’m pleased to report back to you on the results of two raw dips I tested this weekend. One was my little creation based on the tomato and avocado that needed using in my fridge, and the second, another recipe from Terry’s upcoming book for Mexican Pumpkin Seed Pate (Sikil Pak). This avocado salsa is kind of like guacamole and pico de gallo had a baby… and then threw in some corn for fun. 🙂 It’s delicious. 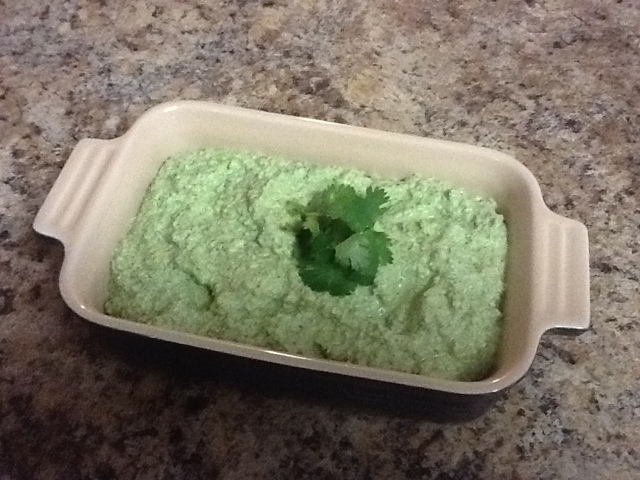 I was attracted to it since it was a raw recipe, and we do love a tasty dip for snacking or entertaining guests. The reviews that were already in were sort of a mixed bag, but it sounded like something we would like, so I decided to give it a go. I started out with half of the suggested amount of water and got a chunkier dip, but then further thinned with the full suggested amount just to see if it smoothed out. 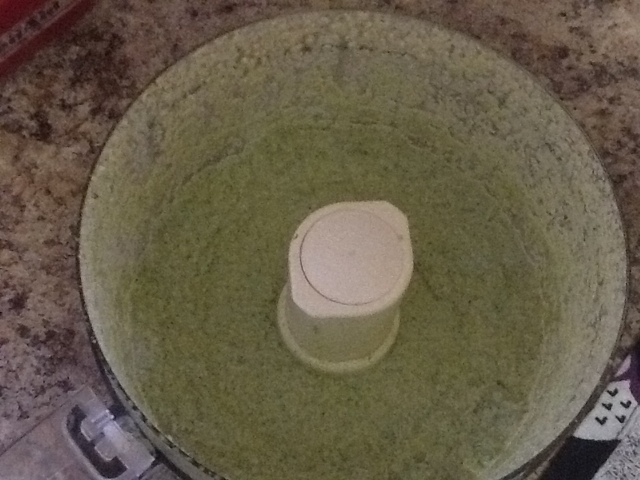 It still retained the grainy texture, at least in my food processer, but if you want it creamy I’m sure a high powered blender would do the trick. She tells you to process to a chunky hummus texture. Recipe called for soaking the seeds. I left mine soaking for about 5 hours. 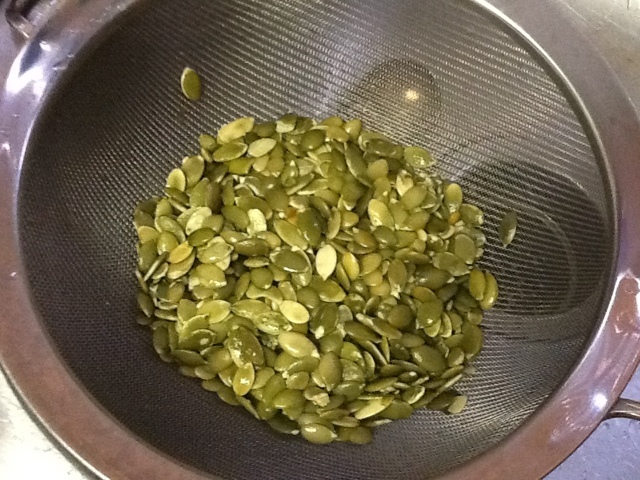 A potent blend of pumpkin seeds, garlic, onion, cilantro, etc. Results: This was pretty powerful stuff. The raw onion and garlic give it a heck of a bite, and it ended up tasting kind of like guacamole. We ate some fresh out of the food processor, and then wrapped it up in the fridge for later. We served it as a late snack for friends, and they loved it. An omni’s response: It’s fantastic. You could serve this to people, and they’d never know it was vegan. ; ) Hah, so there you go! I would definitely make this again. Whipping up some of this Avocado Salsa for some black bean and kale taco dinner this evening. It’s way too hot in our apartment to think about doing anything with the stove or oven tonight! I love avocados so I know I would love this!! !